When you hear the name of Caesars Casino what images come to your mind? If you are anything like us then you will picture extravagant Las Vegas shows and high rollers playing on luxury tables while sipping expensive cocktails. Does the Caesars Casino match this experience or not? Let’s take a look and see how it stacks up. Things start off well when you open the site and are greeted by a very attractive home page. The focus is quite rightly on the games, with some of the top ones clearly listed and offering a demo play or a real play. At the top screen is a bar with all of the other things you might be interested in, such as promotions, help and the full range of games. It is a very classy start and the site immediately exudes a certain confidence and professionalism which is very welcome. The site gives you easy access to everything you could possibly need and the “help” and “contact” buttons are never far away. One of things we always look for in the design of any site is somewhere which makes us feel as though we are home and in complete control. The Caesar Casino site certainly meets this criteria and after just a few minutes we felt as though we had been using it for a long time and were really comfortable in it. After a quick look around you will be as keen as we were to jump into a few games. The choice is pretty wide and you will need to set aside plenty of time if you intend to try out all of them. If we take the Caesars Casino range of slots as an example we can see the likes of Deal or No Deal, Bullion Bonanza, Golden Balls, Queen of Egypt and The X Factor among those on offer. The casino section of games offers such entertainment as Vegas Downtown, Caribbean Stud and Blackjack Multihand. There should be something here for everyone and if you want to give a few different types of online wagering a go then this is good place to do so. 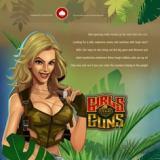 You can have lots of fun on the site and try out new games as you wish. As is common with online casino sites, you can expect a healthy bonus on your first deposit. In this case it is a 200% cash match, which is substantially more than you get offered on a lot of other sites. The maximum is £1000 and as well as this you also qualify for a 50% reload bonus on future deposits. You can also get £20 for referring a friend to the site and look to scoop up a lot of free reward points in the current Caesars Casino promotions. There are actually a million reward points being given away in October 2011, so if you are quick you might still be in time to grab some. It isn’t a site which we expected to let us down and we weren’t disappointed. 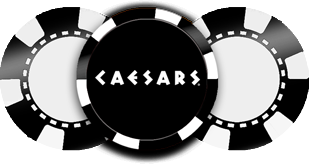 The range of games and ease of use make the Caesars site stand out as one of the market leaders. You might like the idea of having some free plays to get the hang of the site but we are sure that once you get stuck in you will see this as one of the top internet casinos around. Give it a try if you are looking for a new place to hang out online and see whether it suits you. If you like to get started right away then the site’s ease of use should suit you perfectly. Support: 0800 458 3534, Live help or email (all 24 hours a day).